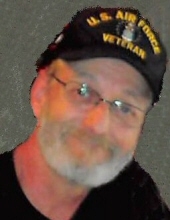 Roger A. Geasland, age 58, of Fond du Lac, passed away peacefully at UW Health University Hospital in Madison. Roger was born in Berlin, Germany, at the Andrew Barracks to George and Karin (Zielke) Geasland. Roger spent twelve years in the service. Six years in the US Air Force and six years in the Army National Reserves. He was proud to serve his county. Roger enjoyed spending time with his family, working on cars and wood working. He was a diehard sports fanatic. He loved his Packers, Brewers, and NASCAR. Roger enjoyed spending time with the needy and less fortunate and would go above and beyond for anyone in need. Survivors include by his loving wife, May (Barton); his children, Desirae, Clarissa, Russell, Mike, and Amber; two brothers, Richard (Kathy) Geasland, Randy Geasland; one sister, Renate (Troy) Masteller; two uncles, Maynard Geasland and Melvin Riege; one aunt, Dianna Webster; nine grandchildren, Elivia, Donavon, Cullen, Kelsey, Karsen, Kali, Hunter, Harley, Damien; and many nieces, nephews, other relatives and friends. He was preceded in death by his parents, George and Karin Geasland; his mother-in-law, Jeanette Barton; and one daughter, Katrina. Visitation will take place on Thursday, April 18, 2019, from 1-5 PM at Uecker-Witt Funeral Home, 524 N. Park Ave, Fond du Lac, WI, 54935. Military honors will take place at the funeral home at 5:00 PM. Cremation has taken place. To send flowers or a remembrance gift to the family of Roger A. Geasland, please visit our Tribute Store. "Email Address" would like to share the life celebration of Roger A. Geasland. Click on the "link" to go to share a favorite memory or leave a condolence message for the family.